Good morning, friends! I hope everyone had a great day off yesterday. We’re kicking the morning off today with the prettiest color palette. Lately it has been all about fresh, summery colors so I thought I’d mix it up a bit. 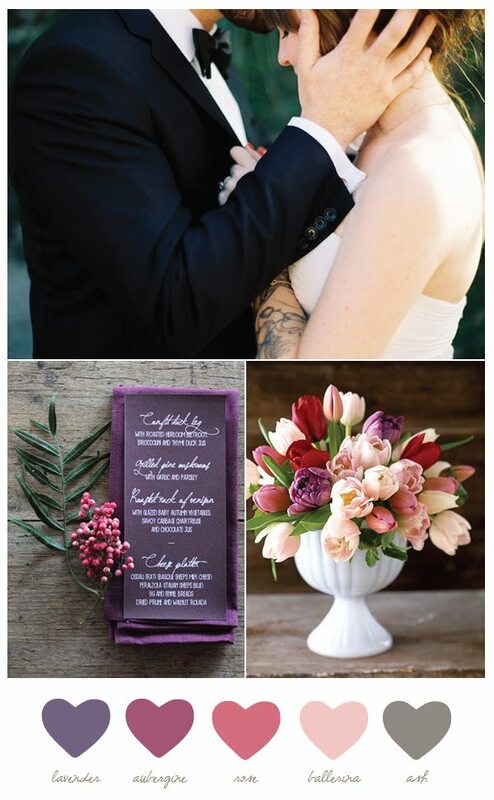 So today we’re talking classic and utterly romantic shades of lavender and rose. It really doesn’t get any more timeless! These shades are muted and sophisticated and perfect for any season or celebration. I have to admit, I am not a huge purple fan. I’m not sure why, but it’s a color that has just never been my thing. But combined in this way, I have to say I’m becoming a believer!